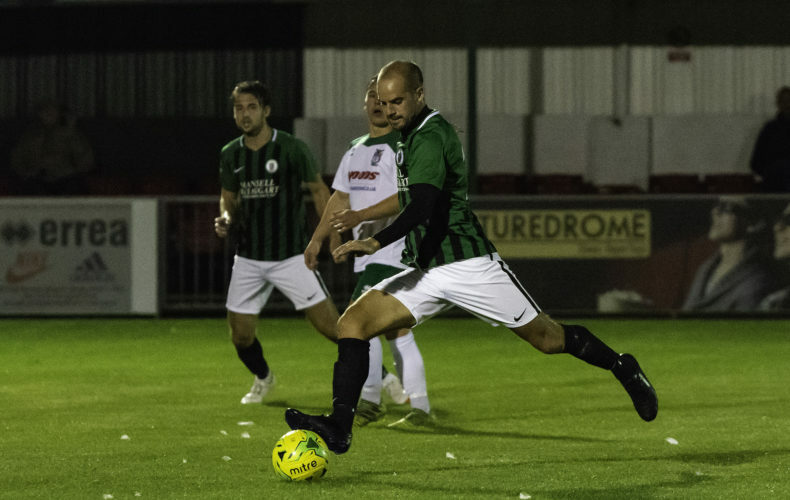 Hillians MOTM, Dan Beck, in action against Bognor Regis Town. The Hillians came within seconds of registering our first league win of the season, but up stepped a Football League veteran. Following Ian Chapman’s leave of absence, Simon Wormull & John Rattle took charge of the Hillians, making 4 changes from the side that lost at Bognor Regis Town. Billy Barker, Pat Harding, Ben Pope, and due to an injury in the warm-up to Gary Charman, Lukas Franzen-Jones all came into the starting line-up – with Pope wearing the armband and Franzen-Jones making his Bostik Premier League debut. In wet conditions, the opening exchanges were scrappy, with both sides struggling to create any clear cut opportunities. The first chance of the game fell to the hosts, when former Norwich City & Bristol Rovers forward, Jamie Cureton struck the post with an audacious chip – after 15 minutes. It was the Hillians that opened the scoring, in the 25th minute, as Pamment and Pope combined superbly, before the latter found Pat Harding, who’s side footed effort nestled into the bottom corner. The Hillians continued to cause Stortford problems, with Dan Beck controlling the midfield winning every battle. However, just 3 minutes before half-time, the hosts were awarded a penalty, much to the disbelief of every man in Green & Black. Cureton made no mistake from the spot to bring his side level. Wormull & Rattle introduced Smith-Joseph at half-time following an injury to McCollin, and the wide man instantly caused the hosts problems with his ballistic pace. Josh James was called into action in the 60th minute, as he made a fantastic save to prevent Alfie Mason from close range. The Hillians had a huge shout for a penalty, as Tom Cadman was bundled over inside in the area, but the referee waved play on. Just 11 minutes from time, the Hillians won themselves a corner. The ball found its way through the Ben Pope, who’s low diving header alluded everyone and rippled the back of the net, sparking jubilant celebrations from the travelling faithful who must of thought their side had won all three points. But, in the second minute of added time, that man Cureton poked home from close range to rescue his side a point. A good point on the road for the Hillians, against a side pushing for the play-offs, yet a bitter-sweet taste having been so close from registering our first league win. 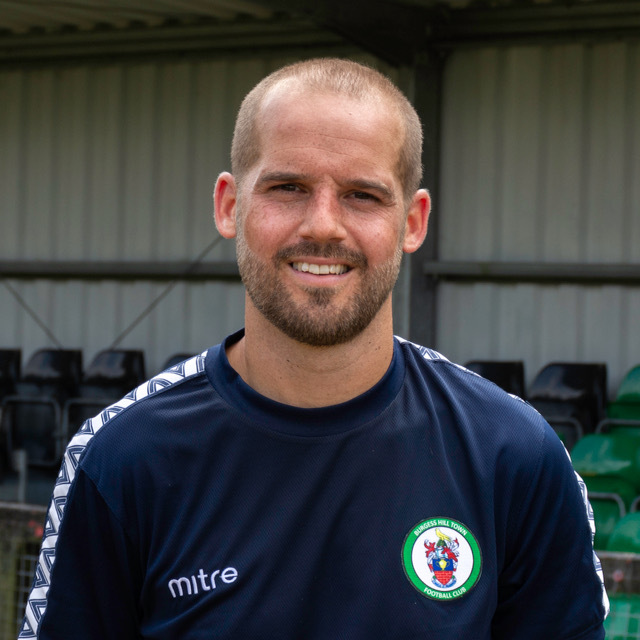 The Hillians MOTM was awarded to Dan Beck, who was absolutely superb throughout the 90 minutes, and along with Franzen-Jones and Harding, controlled the midfield. Thank you to you travelling Hillians – once again your support was incredible!